Berlinale Jury president Wong Kar-wai with jurors Susanne Bier, Ellen Kuras, Tim Robbins, Athina Rachel Tsangari, Shirin Neshat, Andreas Dresen and winners of Golden and Silver Bears. Back in February, I had the privilege of giving two workshops, “Intro to Large-sensor Digital Cinema Cameras” and “Large-sensor Digital Cinema Cameras in Detail” at the 11th edition of the Berlinale Talent Campus. For those not acquainted with this Berlin Film Festival initiative: the Talent Campus each year invites 300 directors, producers, editors, and cinematographers – “talented emerging filmmakers in the first years of their career” – each with a film or two under their belts. Most seem to be in their late 20s. This year over 4,400 applied from 137 countries. Clearly a hot ticket. The 300 lucky ones are called “talents.” Presenters/mentors are called “experts.” This year’s refreshingly frisky theme was Some Like It Hot – Filmmakers as Entertainers, and this year’s crop of experts, besides yours truly, included Jane Campion, Anita Ekberg, Nina Hoss, Ken Loach, Lucrecia Martel, John Cameron Mitchell, Walter Murch, and Paul Verhoeven. No wonder the Talent Campus has become my favorite section of the festival. So popular in fact, there are Berlinale Talent Campus offshoots in Guadalajara (early March, just concluded), Buenos Aires (mid April), Durban (late July), Sarajevo (July), and Tokyo (late November), each affiliated with a local festival yet guided by the inspired Berlin staff of Matthijs Wouter Knol and Christine Tröstrum. This is internationalism with a vengeance. Multiply 11 editions of the Berlinale Talent Campus times 300 talented filmmakers from nearly every country in the world and you get both a global networking juggernaut and a renewable cinematic wellspring. 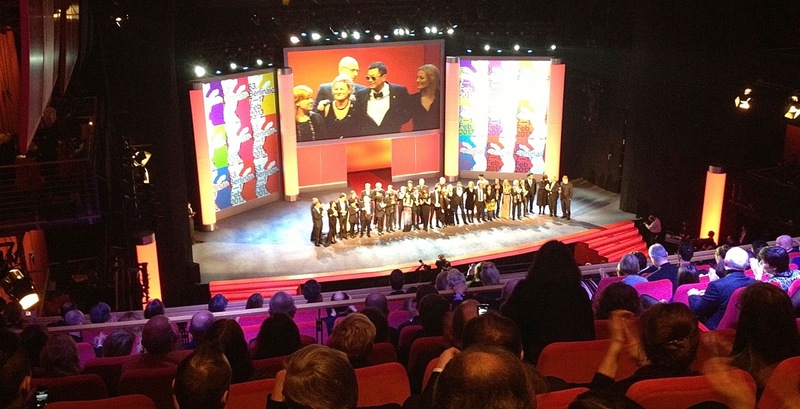 This year fifty-two Talent Campus alumni brought finished films to the Berlinale. Walter Murch holds forth at the Talent Campus. Back to cinematography: At this year’s Talent Campus the peerless editor and sound designer Walter Murch (The Conversation, The Godfather trilogy, Apocalypse Now, The English Patient) launched his standing-room-only talk, “Sound Design and Storytelling,” with a picture of a Mantis shrimp, a kaleidoscopic crustacean with the unlikely distinction of seeing more colors than any other Earthly creature. Murch’s point is that while we see hardly an octave of visible light (430–790 Terahertz), we hear ten octaves (per Murch, 25–25,600 Hertz). To drive home his point about our narrow visible spectrum, he played Beethoven at his most symphonic, toggling back and forth between glorious full fidelity and a notch-filtered version confined to a single octave, which sounded flat, indistinct, and, well, under water. 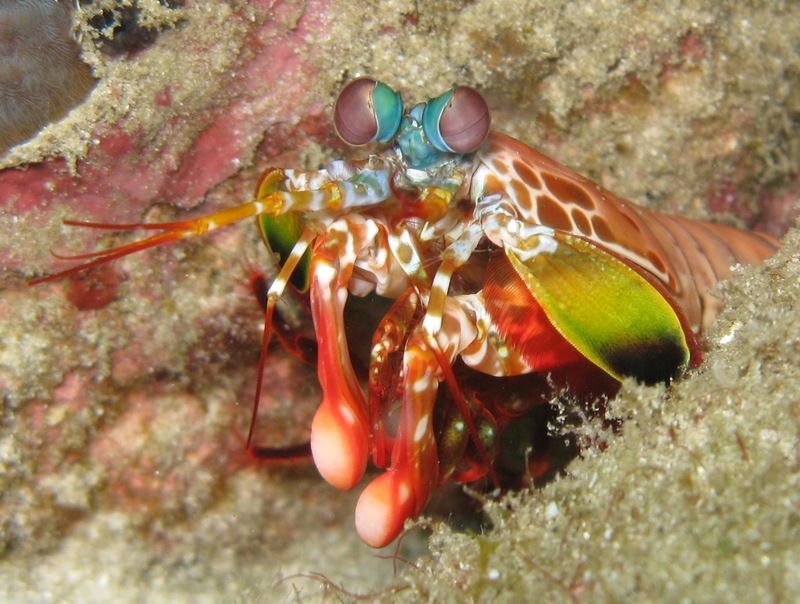 This flamboyant shrimp sees what we can’t. OK, he’s a sound designer, not a cinematographer. His point, I think, is that with all those octaves of aural stimulus to play with, the power of sound design to shape narrative perception is more profound than most people consciously realize. To demonstrate this, Murch screened the restaurant scene from The Godfather in which war-decorated Ivy Leaguer Michael Corleone (Al Pacino) anxiously excuses himself during a tense tete-a-tete with rival capo Sollozzo (Al Lettieri) and corrupt Captain McCluskey (Sterling Hayden). From behind a toilet he extracts a hidden pistol. If he goes through with the hit, he becomes just another gangster, a killer like his father and brother. He forfeits his chance at an ordinary profession and life. As sound designer, Murch threaded this tense, claustrophobic scene with off-screen effects suggesting the overhead clacking and squealing of an elevated New York subway, the clamor of which builds louder and louder, like Michael’s pounding pulse, to the climax of his fateful action. Audible and dramatic intensity grip the listener/viewer with equal force. 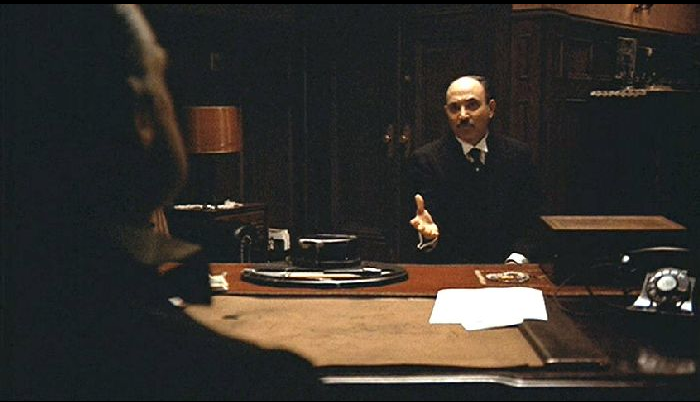 Every cinematographer knows this scene was lensed by the Godfather of gloom, the great “Prince of Darkness,” Gordon Willis. When Murch inevitably invoked Willis’ name, the film projector in my mind fired up – the cerebral location of which neuroscience will someday pinpoint – and I found myself mentally envisioning the Godfather‘s opening scene in which Vito Corleone (Brando) shrouded in shadow receives suppliants in the seclusion of his office, dispensing furtive and no doubt costly favors. Minimal exposure creates a visibly “thin” color negative which, when held to the eye, looks virtually clear. The margin for error, between deep shadow and unusable underexposure, is slim. What producer wouldn’t freak out? But the Prince of Darkness knew that by providing a negative with minimal density, no lab timer could lighten the scene. Printing with lower printer lights (called “printing up” because of its effect of lightening the projected image) would produce disagreeable milky blacks and reveal heavy grain. So the blacks stayed rich, the shadows, deep. And the cinematographer (Willis) retained control. The shadow of his smile. In embracing darkness, Willis was reaching back in time. 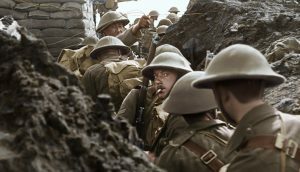 You can draw a straight line from the stark chiaroscuro of the post-World War I German stage under Max Reinhardt to German film Expressionism from the likes of Fritz Lang and Robert Wiene, to the Hollywood film noir of Central European transplants like Robert Siodmak and cinematographer John Alton. But for Willis to walk the knife’s edge of underexposure on a Hollywood production with big-name stars required cojones of equal size. Back in those days there was no way to view a just-filmed scene on the set. Until the printed dailies came back from the lab a day later, no one in production knew what they had, or whether they had anything at all. The cinematographer had to be trusted on faith alone. Today anyone on the set can just sneak a peek at the monitor. A good thing, too, since even Willis’ gloomiest work doesn’t hold a candle (wordplay intended) to the low light levels in common use today. For instance, ARRI Alexa’s base ISO (a/k/a exposure index) is 800, three stops faster than Willis’ 5254 color negative. But today’s digital signal processing is so effective, Alexa can also be rated as high as 3200 – 5 stops faster than Kodak 5254 from the 1970s – without sacrificing any of its 14-stop latitude. Even “budget” digital cinema cameras today provide gain up to +30 dB (Sony FS100, FS700) and lofty ISOs of 20,000 (Canon C100, C300) – both settings functionally the same, by the way – enabling them to see considerably more than the eye, yet minus the fixed pattern noise that plagued early Super 35 CMOS cameras. In other words, not only can today’s cameras capture usable images in levels of “available gloom” Willis could only fantasize about, the resulting noise is far less objectionable than early-‘70s film grain. For today’s cinematographers, it’s a total win-win. 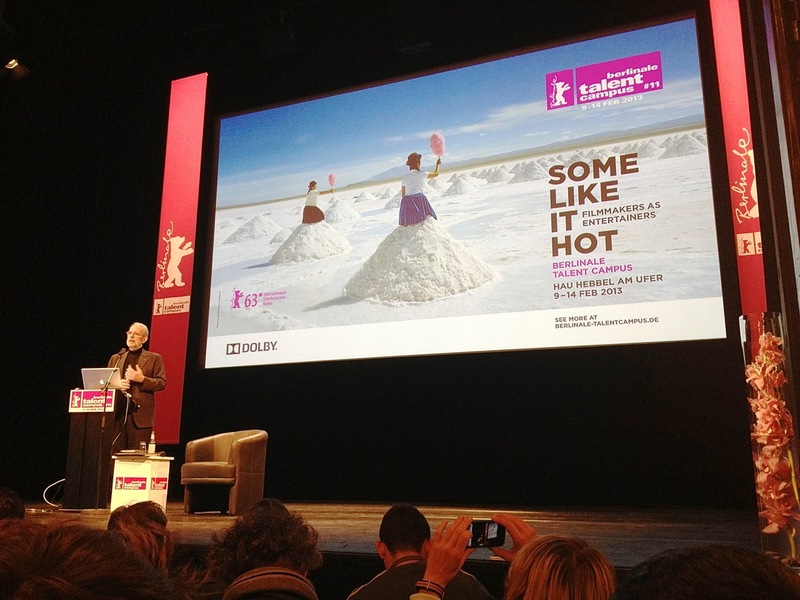 What does camera sensitivity have to do with this year’s Berlinale? With over 400 films unspooling (or, rather, DCPs streaming) in Berlin compared to 116 at Sundance, it’s impossible for me to attempt a full listing of which cameras were used, as I did for Sundance. Formidable distances between theaters and tight screening times mean I typically see fewer films in Berlin than Sundance anyway, so what follows are impressions based on what I managed to catch. 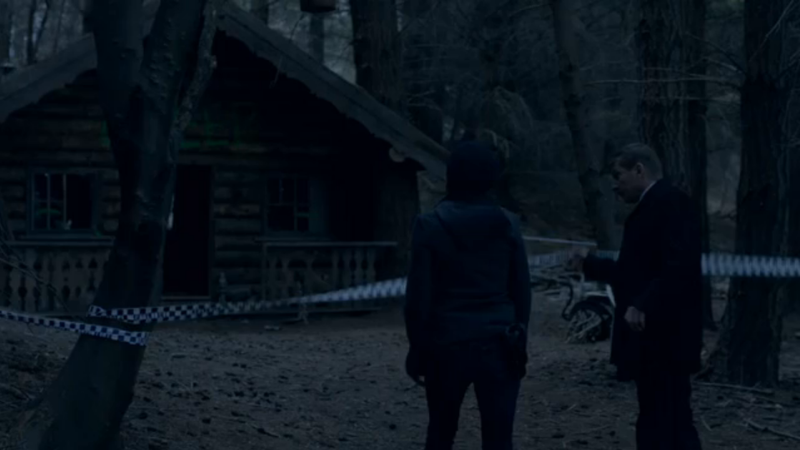 Elisabeth Moss and David Wenham approach a crime scene in TOP OF THE LAKE. In half-seen, no-key scenes, Walter Murch might suggest sound design to illuminate action. Compared to Willis’ day, today’s “low light” is virtually “no light.” Today’s low key is no key. It takes Willis-size cojones to shoot this dark, even in our digital age of WYSIWYG. Why make audiences strain to see? Then there’s the problem of accurate reproduction. In the early years of digital projection, you never saw the same image projected twice the same way, at least on the festival circuit (from woeful personal experience). Composing in the darkest of tones may seem bold and edgy in the studio when viewed on reference monitors, but in the artistic crap shoot that is projection, it can look to an audience like mud. But a welcome development in exhibition has taken hold: the standardization since 2005 of image brightness and white point in commercial projection as required by Hollywood’s Digital Cinema Initiatives. The DCI effort, which also gave us the DCP, has leveled the playing field and given commercial filmmakers confidence that audiences everywhere will see the same image the filmmakers viewed during color correction and mixing. 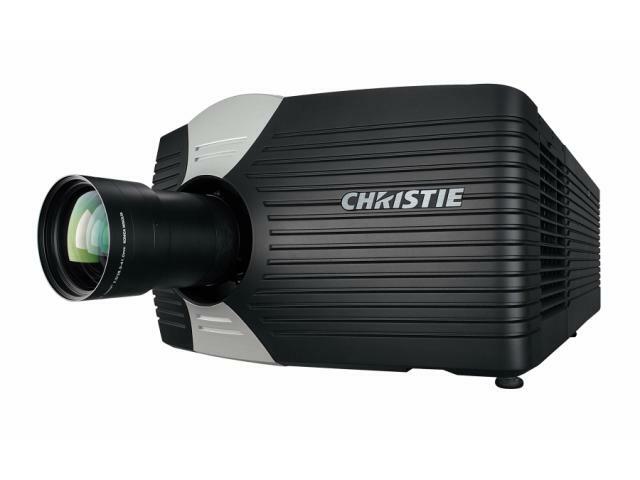 DCI-compliant Christie CP4230 4K DLP projector. A good thing, as Martha would say. Another confidence booster is the general uniformity of digital reproduction compared to analog. Analog video levels would drift and degrade. They had to be monitored and realigned every step of the way. That’s why color bars were invented, as a reference to check analog luminance and chrominance levels using a waveform monitor. However just as digital video resists generational loss, digital displays are less given to wild swings. When was the last time you adjusted the color on your laptop, iPhone or iPad? Footnote: In the days of analog NTSC broadcasting, dark scenes were avoided. If a local TV transmitter encountered a dark scene, automatic video level controls would “lift” the tonal values of the scene prior to broadcasting, on the assumption that something was wrong. (Same reason letterboxing was not permitted in the days of analog broadcasting: the FCC’s fear that some dimwit might complain their TV set was broken.) If you were watching a dark scene on TV at home, if was not unusual for dark shadows to go gray. Yuck. To prevent this, savvy cinematographers would place a speck of bright detail somewhere in a low-key scene. When broadcast, this tiny detail would register at 100% IRE units – legally the brightest tonal value that could be broadcast. NTSC transmitters would assign this bit of highlight detail to the upper limit of the transmitted video signal, and the rest of the tonal scale, including shadows, would remain where the DP had intended. Was this also Willis’ goal in exposing for highlights? If Willis were shooting today, he wouldn’t fuss with highlights. He wouldn’t have to. As is the case of every Berlinale film listed above – the ones with shadow detail in their shadow detail – he would shoot with ARRI’s Alexa, a growing favorite of many DPs for its low-light capabilities. 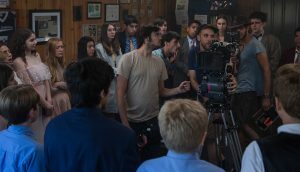 As detailed in my Sundance cinematography blog, “Alexa Rising,” after conquering TV series production, the protean Alexa is carving inroads into indie filmmaking too. Greta Gerwig, Michael Zegen, and Adam Driver chastened in Noam Baumbach’s delightful FRANCIS HA. Two American indie films at the Berlinale shot on Alexa didn’t join this back-to-black trend however. David Gordon Green’s Prince Avalanche (for which he won Silver Bear for best director), DP’d by long-time associate Tim Orr, was shot fast in the woods of central Texas using vintage Bausch & Lomb Super Baltar primes. A pas de deux of bumbling road workers played by Paul Rudd and Emile Hirsch, its métier is natural daylight. 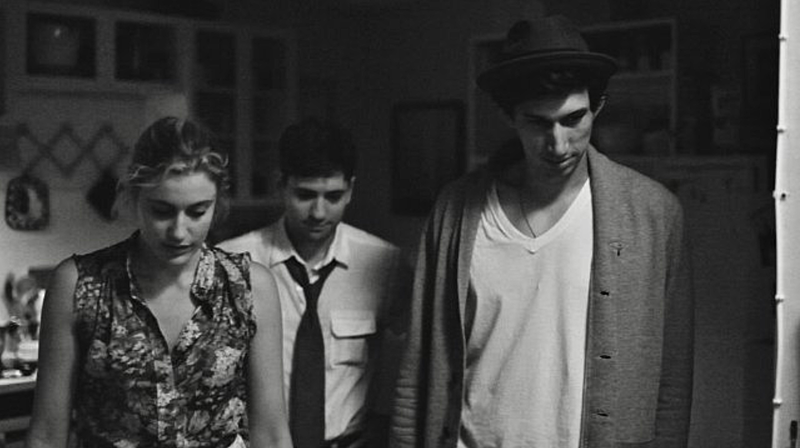 And Noah Baumbach’s valentine to co-writer Greta Gerwig, Francis Ha, was lit for, and presented in, impressive black-and-white, although captured by DP Sam Levy in color. To be fair, RED’s Epic, Canon’s C500, Sony’s F65 and other digital cinematography cameras have conquered shadows too. The greater challenge for all of them, Alexa included, remains highlight fidelity: how to better capture highlight detail while not compromising shadow detail. Alexa and Epic, for example, provide different approaches to HDR (high dynamic range) capture. By chance, a perfect example of what they’re both attempting to emulate with HDR was available at the Berlinale: Ed Lachman’s masterful cinematography from 1993 in Dark Blood, the unseen last film of 23-year-old River Phoenix. Dark Blood is notorious because Phoenix OD’d in LA with three weeks of production remaining. Consequently it was never completed or released. Shown out of competition as a partial restoration, Dark Blood stars Jonathan Pryce in high twit mode and a slyly sexual Judy Davis as an elite Hollywood couple whose Bentley breaks down in the middle of the desert, where they encounter the subtly menacing “Boy,” a taciturn young widower living alone in a cabin. Lachman, for one, has been haunted by the film ever since, collaborating with artist Slater Bradley on a 2010 video installation, Shadow, at the Whitney Museum, an imagined prequel to Dark Blood using a young double for Phoenix’s unhinged nature-boy. Also haunted was the film’s now 80-year-old Dutch director, George Sluizer, in ill health and determined to end two decades of legal wrangling over the project’s assets. Through the Netherlands Film Fund and crowdsourcing, Sluizer raised the money to digitally assemble as much of the original Kodak color negative as possible. For the missing scenes, Sluizer himself narrates the script. He’s a natural storyteller, and I found this choice both effective and strangely satisfying. Ed Lachman’s cinematography in DARK BLOOD is exemplary. Dark Blood was filmed in and around Capitol Reef National Park near Torrey, Utah, a red-rock wonderland I know well, having shot two features there myself (one, a Mars landscape). Desert images are among the most difficult to capture faithfully, an unforgiving environment where blinding highlights and inky shadows coexist. Moreover, in red-rock southern Utah, tints of amber, ochre, and burnt sienna suffuse the palette, deeply contrasting with the sky-blue tone that colors all shadows. DPs who use white or silver bounce-boards to flash sunlight into shadows get this wrong. Lachman gets its very right. On the big screen Dark Blood will not make it much farther than the festival circuit, so seek it out if you can. While digital cinema cameras have made real progress, they continue to fall short of film cameras in highlight reproduction, particularly skin tones. In the meantime, we have Ed Lachman’s mastery of photochemical imaging to aspire to.